Malvan is an immensely popular tourist destination in Maharashtra. The historical significance of this place adds to its popularity. This town is surrounded with numerous castles and unexplored beaches, so you are definitely going to have a blast here. In order to enhance the amount, you can visit here with a bunch of friends. Spend time on beaches of Malvan during morning hours and party all night. This beautiful town is immensely popular for offering wide range of mangoes. The most popular variety available in this town is Malvani Hapus or Alphonso. Malvan is an ideal destination for all those individuals who are madly in love with nature and want to spend their holidays on peaceful beaches and serene seashores. Sindhudurg fort, Tarkarli beach, Malvan beach, and Tondavali beach are some of the best attractions in Malvan. Although the tourist season starts form Mid October and lasts up to mid May. In fact, these months can also be considered the best time to visit Malvan. You can even visit this place from November to February during the winter season. But, if you are planning to visit here during winter season, then you should carry the necessary clothing because the temperature falls extremely low during this time. There are many tourists who like to visit Malvan during the Christmas season. Around this time of the year, climate of this town is extremely pleasant and best suited for tourism. They can also witness some grand festivities at certain places in this fantastic town. 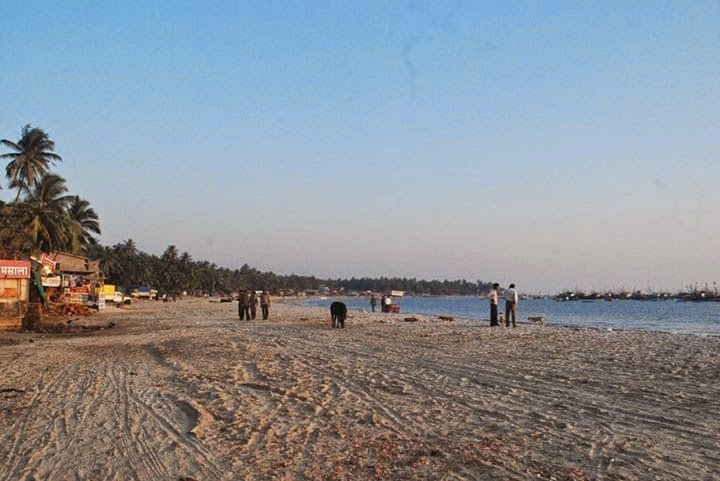 Malvan is also well-known for its excellent beaches. A trip to Malvan during the Christmas season would give you and your family members some memorable moments to cherish for a very long time. Christians in India begin preparing for Christmas well in advance. They hang beautiful lanterns outside their homes, mostly the star-shaped ones. A Christmas tree is also one of the most essential aspects of their decorations. Also placed in a chosen corner outside their homes are the images of infant Jesus and other Biblical characters to celebrate the Nativity. If you are in Malvan to make your Christmas memorable, you would definitely need a comfortable accommodation. A stay in any of the rooms or suites of Hotel Sagar Kinara, Malvan can not only help you celebrate Christmas season with your family in a big way, but also give you the chance to visit some of the most interesting places in the town. 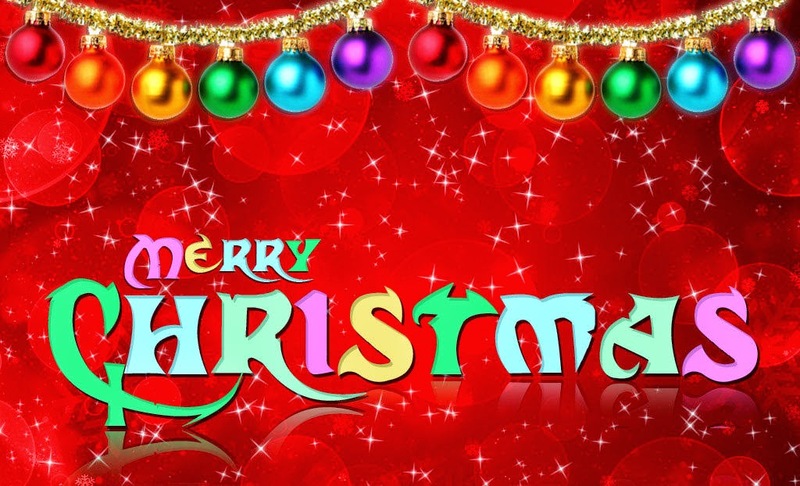 We at Hotel Sagar Kinara wish you and everyone in the family a ‘Merry Christmas’. The secret behind Malvan's popularity is the majestic Sindhudurg Fort, which was built by the great Maratha king, Shivaji. 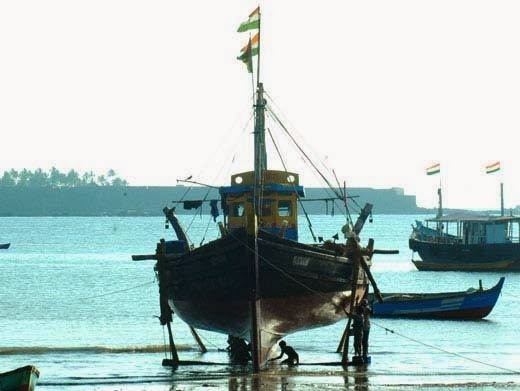 It has been built in the sea waters, and was strategically important for the Marathas. Every year, plenty of tourists come to Malvan for visiting this fort. Such is its grandeur that the entire district in which it is located, has been named after the fort. It also stands testimony to Malvan's past, when the Maratha kingdom had reached its zenith of glory under Chhatrapati Shivaji Maharaj. Sindhudurg Fort is a protected monument, and was constructed in the mid-seventeenth century. More than 4,000 mounds of iron were used for building its strong foundation. It was built over a period of three years, with enormous walls and a long rampart of about two miles. Main entrance of this fort has been concealed in such a way that it cannot be easily noticed from outside. The fort also has more than fifteen families, who have been its permanent residents for generations. People coming to Malvan for spending a memorable vacation are always in need of comfortable accommodations. The Hotels in Malvan provide excellent stays, in the form of well-furnished rooms and suites that are equipped with all the modern facilities. 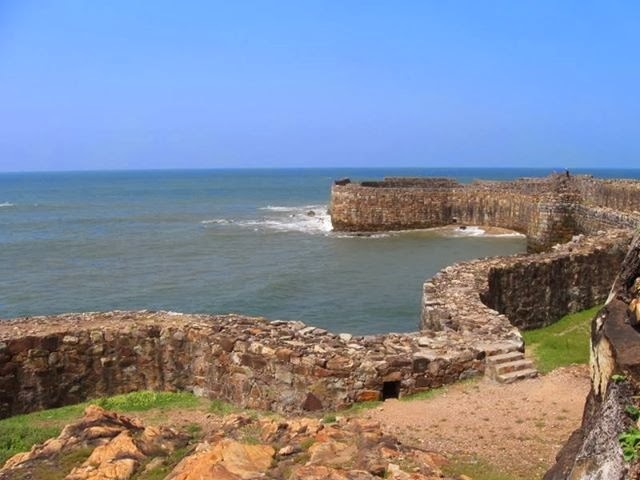 Did You Know Sindhudurg is a Fort as well as District? The main popularity of Malvan lies in none other than its most renowned Sindhudurg fort which was built right in the sea waters by Raja Shivaji, The Legendry King of Maratha, known for his guerilla warfare tactics and great administration. Malvan is followed by Goa which is why a lot of tourists flock here every season. The District is known after this fort. 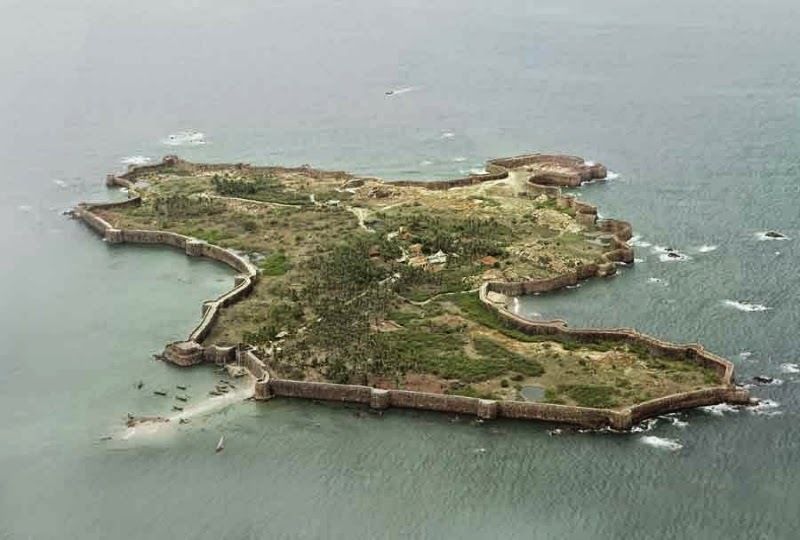 Since the fort is built within an islet of Arabian Sea it is popular amongst the Historians as well as various other research fields. No doubt it is the primary choice of people living in Maharashtra if they feel like planning having a weekend getaway and spend time with family. They don’t have to worry about accommodation thankfully since there is a lot of improvement in this field. Now-a-days you find very great Hotels in Malvan with multicuisine dining facilities and luxury amenities and accommodation facilities for rooms making your vacations an experience by itself. Malvan Natives are very cooperative. Especially those who have migrated to Metros for jobs always visit their village at least one time in a year wherever there are. People of Malvan basically live a very tradition and culture driven lifestyles and are conservative in their outlook. But they are at par with everybody else when it comes to modernization. Even when luck is not favoring you and your desires, no wonder you would be disappointed. One need to understand that not every person will behave as per your expectations. You feel disappointed especially when your partner or love does this to you. People expect a lot from almost everyone around them and in many cases it leads to disappointment. While it is true that every bonding is special but when everything doesn't fall as planned, it is crucial to restore the spirit of unity within the partnership. It is always required to give the other person their needed space, if you desire to do this. Peculiarly for committed husbands and wives the complications predominately revolve around not being in a position to give attention to each other in today’s hectic lives. You can still find many things in this world which can never be acquired by cash alone. But here are a few nice steps which may work like a miracle. Take your partner out for a holiday. Spare a day exclusively for them and try express somehow why they means a lot to you. You might know their preferred cuisines, outfits as well as places they loves to be at. Take them on a surprise dinner or a modest vacation. If you are not somebody that goes outdoors quite a lot you will get the best results at Hotel Sagar Kinara, Malvan. Rushing waves of the Arabian Sea, lush green palms, and beautiful sandy beaches await all the tourists who are planning a visit to Malvan, an exotic town in the Indian state, Maharashtra. It is a perfect destination for those who are looking forward to take a break from their hectic schedules and relax in the midst of fascinating natural surroundings. There are many interesting places in Malvan, which can be visited by tourists during their vacation spent in the town. Dhamapur Lake, the biggest lake in this town, is one of them. It is an artificial lake, constructed during the early sixteenth century. Crystal clear waters of this lake and dense forest that surrounds it, gives visitors a feeling of immense bliss. 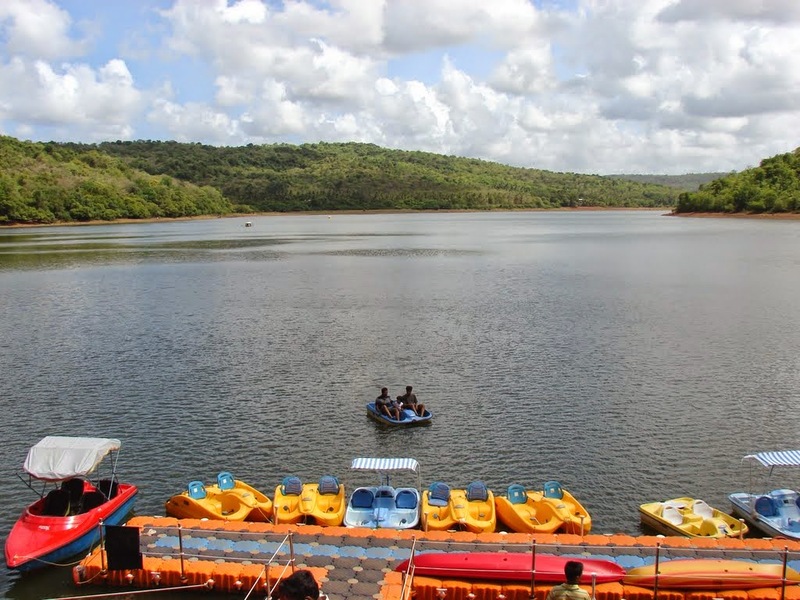 A stay in one of the popular hotels in Malvan would offer them greater convenience in touring the Dhamapur Lake. 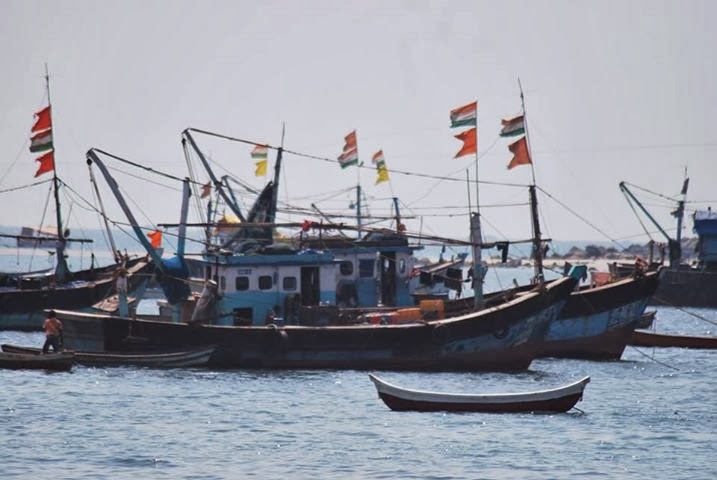 They can also enjoy a cruise through its amazing waters with the help of boating facilities provided by Maharashtra Tourism Development Corporation (MTDC). Bhagwati Temple, located near this lake, is also an interesting place to visit for people touring Dhamapur Lake. The deity in this temple is the revered Goddess Bhagwati. A serene environment that the temple exudes is something that they would never like to miss. Indian history is brimming with mythological legends and stories narrated in many of the religious scriptures and books. One such saga is the Dashavatar, related to the ten Avatars of Vishnu, the Hindu God. 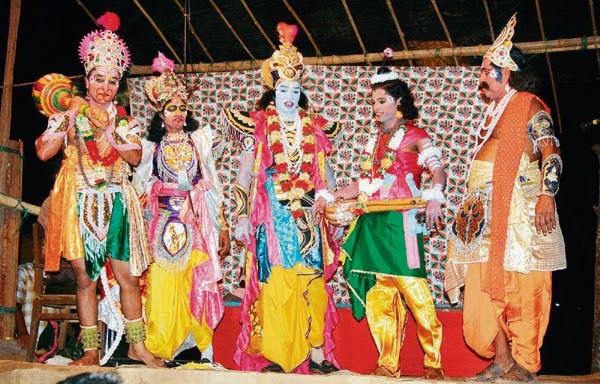 Based on the theme that whenever some evil powers create difficulty for the religious minded devotees, Vishnu takes birth to destroy such evil powers, Dashavatar is a very popular theatrical drama, part of the folk art of Malvan, a small town in the Sindhudurg district of Maharashtra in India. Presented in a fun and comical manner, Dashavatar is an integral part of the cultural space of Malvan where the incidents and dialogues make it very difficult for the audience to control their laughter. Folk art in India is a powerful medium for creating awareness about certain malpracticesin the society such as blind faith, among the rural masses. People are made aware of how some cunning people take advantage of their ignorance and illiteracy in order to exploit them. Dashavatar with its perfect balance of education and entertainment is the most popular event attended by villagers. 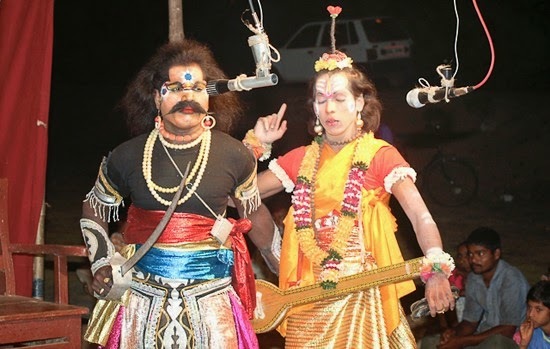 Dramas and dance events in Konkan, more so in Malvan to be precise, are held annually in the temples during various festivals. The fun part of these dramas is that all the characters are played by male actors including the female parts. In order to playthe female parts, male artists dress up as women which in itself is a huge source of entertainment for the public. Dashavatar begins with the first incarnation of Vishnu that is the Matsay Avatar and ends with a blessing by Vishnu to Shankasura. People enjoy this play at the time of the Mahapuja of the Gram Devata which starts late in the evening and often continues through the night.Aatdashavatar, a modified version of Dashavatar, begins with the praise of Ganesha followed by the killing of the devil Shankasura in the first part whilst part two consists of mythological stories presented in an interesting form hugelypopular withthe locals of Malvan. There are many such interesting occasions celebrated throughout the year in Malvan and it is this period of celebrations which is the best time to visit Malvan. Malvan is packed with a whole lot of tourist attractions and the beaches in Malvan top the list. Maharashtra is well known for its historic and cultural past which is the gift of its pious ancestors and the residents of the state having great faith in god. Maratha kings who ruled this territory were keen in maintaining ancient temples and building new ones. This resulted in carrying forward heritage of the state in different places spread around its peripheries. Malvan is also not an exception. This small town of Sindhudurg district in Maharashtra has many popular historic temples, which are still kept and maintained in a good condition. Some of these temples are said to be Jagrut Devasthans meaning the deities in this temples fulfil the wishes of the devotees. 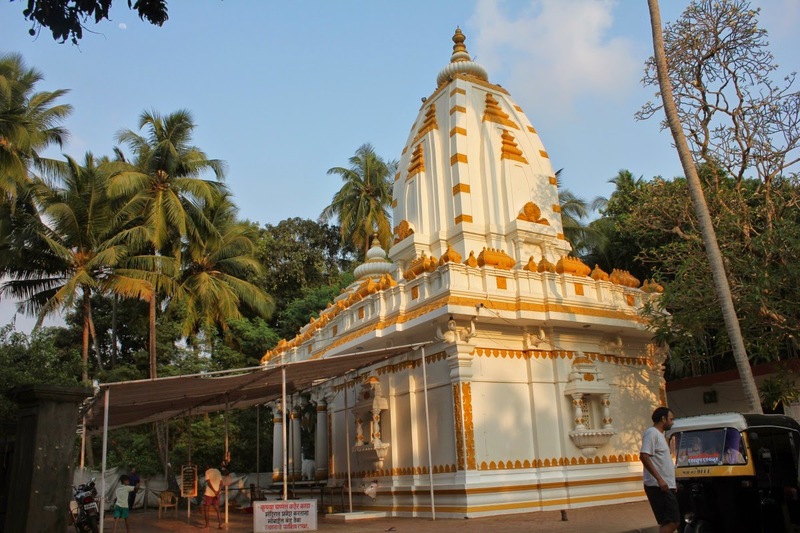 From the long list of temples in Malvan we will know more about the Rameshswar mandir. 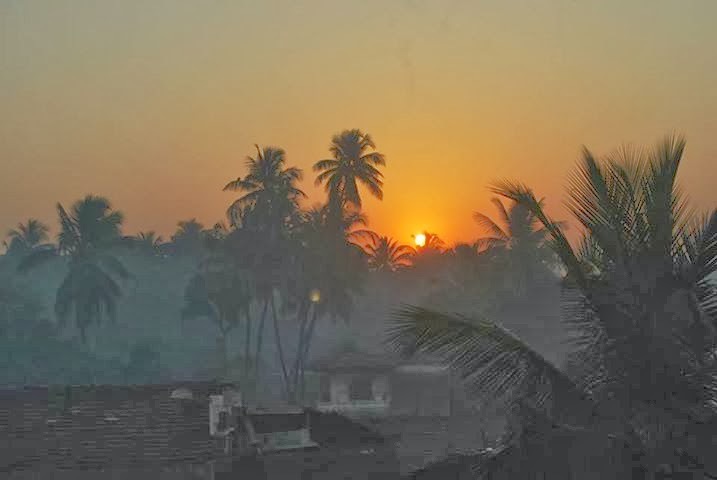 Achara is a beautiful small village in Malvan, which was gifted as jagir by the kings in old times. Normally an inam or jagir is given by a king or a rich person to another person but in case of Achara the donor was a king but receiver was not a human being the property was given to Shri Dev Rameshwar. 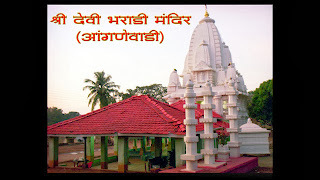 A historical Lord Shiva temple is one of the attractions of this village but incidently lord Shiva in this temple was referred to as inamdar Shri Dev Rameshwar. It is assumed by the villagers that the deity is sensitive to the pleas of its devotees, hence it is also refered as Jagrut Devasthan. Records in the temple say that it was constructed in 1684 AD. Chhatrapati Shivaji Maharaj, the great Maratha king had generously donated for the renovation of this temple. Even Kanoji Angre the naval chief was also concerned about it. This arrangement was continued further in the regimes of Peshwas. Post-independence period is not an exception. Various traditional activities are still performed with same zeal and charm. Some of the biggest celebrations at the temple are Ramanawami, Kartikostav, Dashahara, Hanuman Jayanti, and Mahashivaratri. Visit this awesome destination in Malvan during one of the above festivals. There are plenty of hotels with some of the best facilities. You can stay at one of the best hotels of the region like "Hotel Sagar Kinara" which is rated on the top by the visitors to Malvan. Malvan is town of great importance, as it is one of the popular tourist destinations in the state of Maharashtra. With significant improvements in hotel amenities provided in this region for tourists today, there has been an increase in the number of people visiting this historical town. Travellers can find many interesting places to visit while touring this region. No matter where they go, the comfortable room that they book in a hotel of this town, always provides them complete relaxation on their return. The room amenities of their hotel would also make for a comfortable stay during their time spent in Malvan. Located in the heart of this awesome travel destination is Hotel Sagar Kinara, which offers well-appointed rooms provided with all the latest facilities. The hotel room amenities include a multi-channel television, express laundry service and recreation facilities. At an additional cost, guests of this hotel can also get adventure trips and sightseeing tours organized by the hotel staff. These outdoor trips would help them know more about Malvan's popular attractions and life of its local population. The amenities in hotel also include car wash and vehicle on rent which would be provided by the staff on request. Tourists visiting this town can reach Hotel Sagar Kinara without any hassles, as it is accessible from the Malvan Bus Depot, Kudal Railway Station and all the airports nearby. The luxury hotel amenities would enable them to have a pleasant and memorable stay. Multi-cuisine restaurant of this hotel serves great variety of local as well as other delicacies. They include delicious seafood and other mouth-watering dishes that are prepared using some excellent spices by experienced chefs. The dining facilities in this restaurant set the mood for a great meal, and the guests are always pleased by the service of its well-trained stewards. 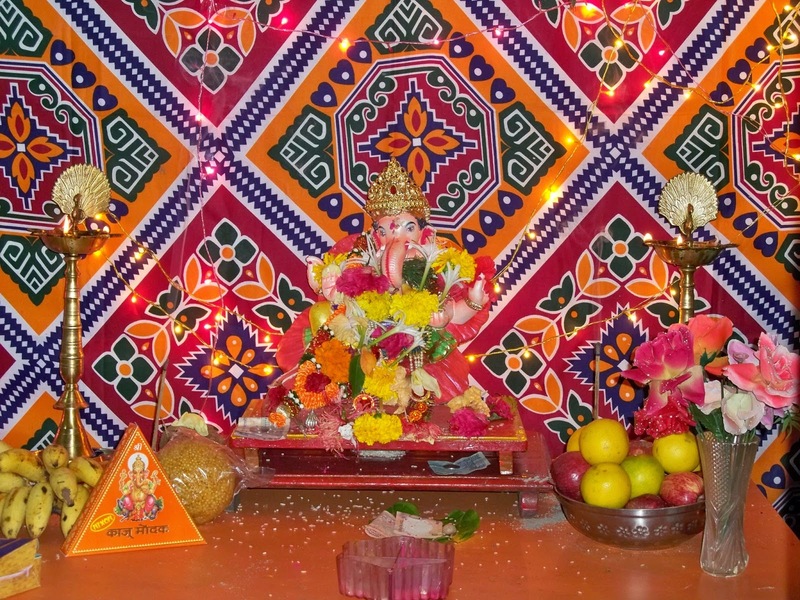 People of Maharashtra celebrate their New Year on first day of the Hindu month, Chaitra, which falls usually in the last week of March or the first week of April. This day is known as Gudi Padwa among the Maharashtrians, and is celebrated in many other parts of India owing to its significance. It marks the beginning of spring season in India, and finds mention in Brahma Purana, one of the ancient Hindu texts. 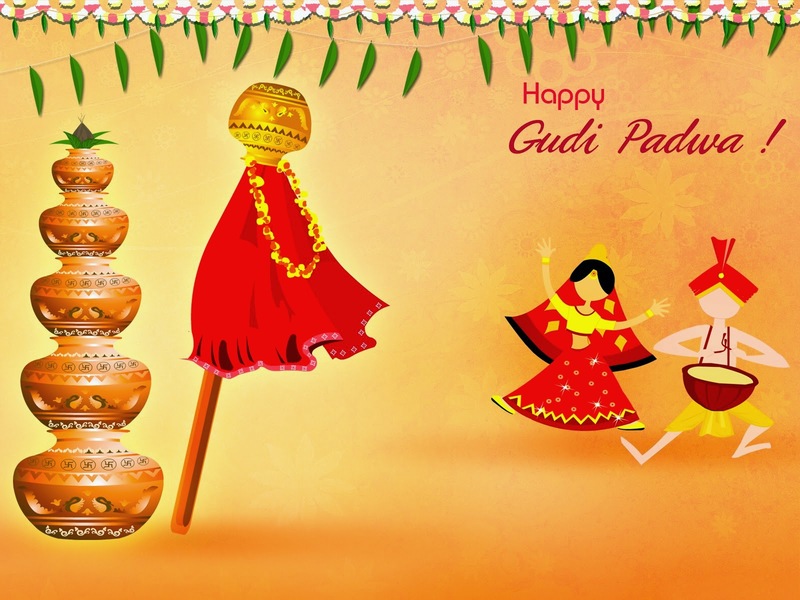 The history of gudi padwa dates back to the ancient times, when Lord Brahma recreated this world after a massive devastation. 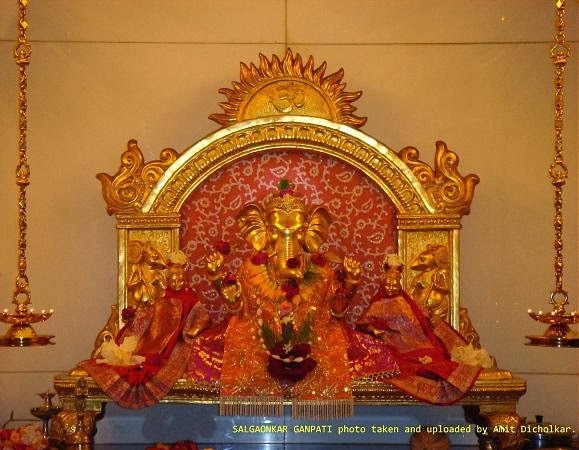 Considered by Hindus as a very auspicious occasion, one can witness grand festivities on this particular day. The festival begins with a cleaning ritual, which involves cleaning the entire house and making beautiful designs with coloured powder, known as 'Raangoli'. Some draw fascinating gudi padwa images on the Raangoli using vibrant colours, keeping up with the spirit of this festival. Everyone wears new clothes and enjoy some special dishes made for this occasion, such as, Shrikhand and Poori. Some enthusiastic individuals also put on gudi padwa wallpapers on their desktops or smartphones. In the earlier times, people used to begin this day by eating the leaves of 'Neem' tree. Today, most of the families consume a paste of neem leaves, which is combined with jaggery, carom seeds and tamarind. Malvan is a town in Maharashtra, which has a great cultural and historical significance. 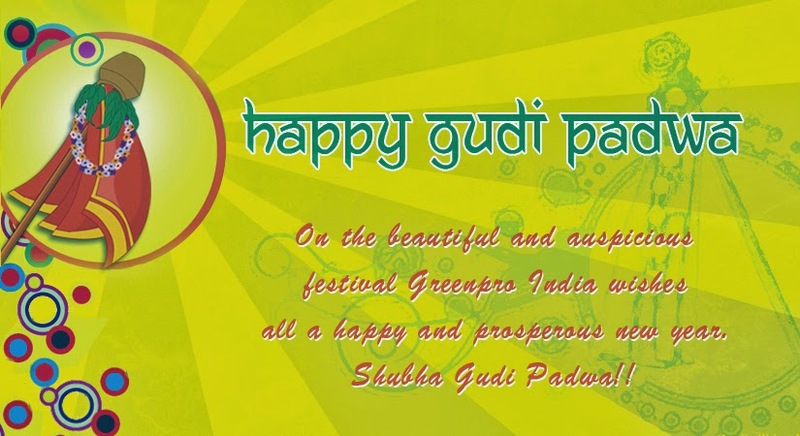 Its people also celebrate this festival by exchanging gudi padwa wishes with their close friends and relatives. Tourists visiting Malvan around this time of the year would witness some amazing events associated with this festival in the hotel or resort where they have booked their stay. Most of the hotels in Malvan organize events that can be a good source of gudi padwa information for the tourists. Mumbai has plenty of beautiful gateways to visit like Matheran, Mahabaleshwar, Shirdi, Alibag and last but not the least Malvan, a paradise for seafood lovers. This beautiful tourist destination in Maharashtra is attracting hundreds of picnickers, leisure tourists and adventure lovers who come here to enjoy a few days in the vicinity of serene and tranquil seaside of Malvan. In this blog we will get acquainted with some of the popular malvan tourist places. In last few years this region has developed into a splendid hot spot for visitors. Places to visit near Malvan includes serene beaches, ancient historical forts, temples and above all hill stations like Amboli. Tourists visiting this destination have lots of options to select from the pile of places to see in Malvan as well as some of the beautiful places near Malvan. Beaches of Malvan are the best to explore during the summer months of February to May. Some of the popular beaches of Malvan can be listed as Tarkarli, Vengurla, Achara, Devbag, Shiroda, Bhogawe and Malvan beach. Malvan beach is one of the best beaches of the region which is neighbored by many popular bars and restaurants, where tourists can relax and have fun. It is the best place to mingle with the locals and purchase Malvan goodies as well as some well known eatables of the region. Tarkarli beach having a splendid stretch of crystal clear water with visibility up to twenty feet is best for adventure and water sports. The beach beautifully lined with tall suru trees on the backdrop offers scenic views due to the colorful sailboats anchored on the banks of the river. 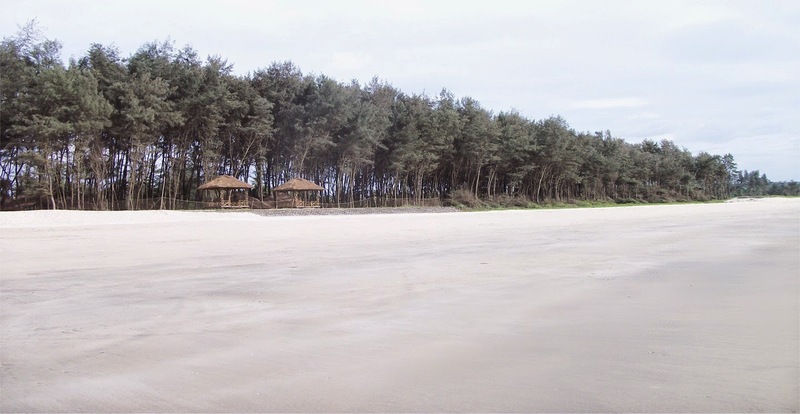 Achara beach located at around twenty km from Malvan is one of the charming beaches best for sunbathing and swimming. The shores of this beach rich in fish and marine life are best for angling. 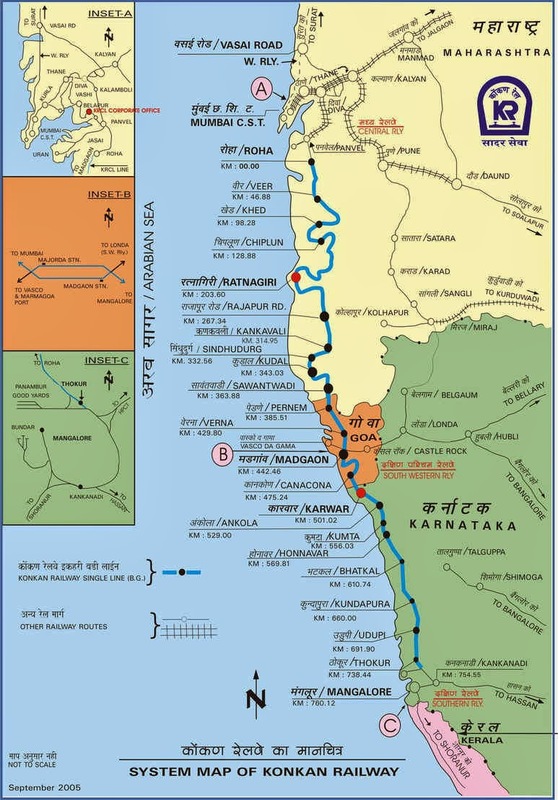 Other Malvan places to visit during your vacation are ancient forts of Sindhudurg, Vijaydurg and Padmadurg. Explore Malvan and its huge tourist potential during your visit of this destination in Maharashtra in a most economical way by staying in a budget hotel. 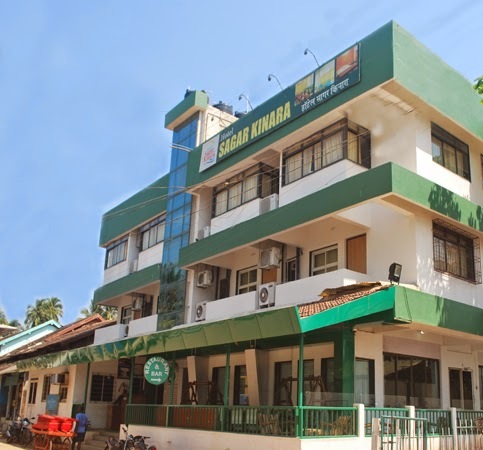 Hotel Sagar Kinara located near Malvan beach is the best place providing budget accommodation in Malvan. Konkan route has become a favourite among passengers, right from the day when it first began its operations. It has also benefited the tourists, who want to save time on their travels to the Konkan region or southern India. 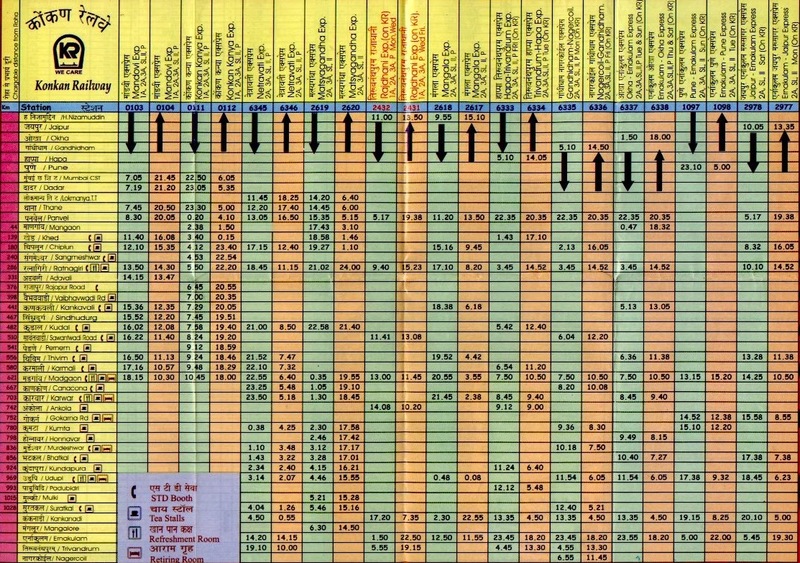 Having the Konkan Railway time table with them would come in handy if they wish to know the details of their journey. Time table for this route is now available online, which offers greater benefits to the users of smart phones. For budget travellers, this route has come as a blessing in disguise. They can now travel through the Konkan Railway route to many of the popular tourist destinations to save both time and money. Konkan Kanya express is the most popular express train on the konkan route to reach konkan and Malvan in Maharashtra. Services related to the travel industry is also reaping the benefits of this railway route, as it has taken their businesses to greater heights. 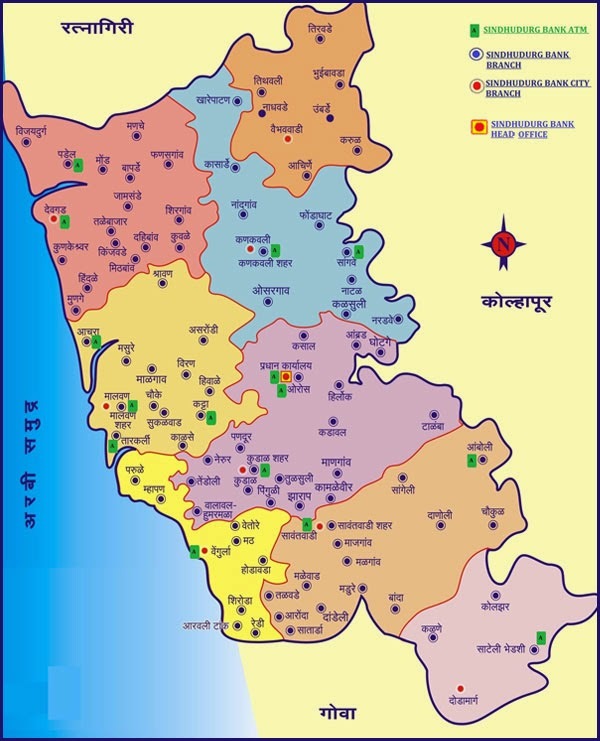 The applications featuring Konkan Railway map also shows the available services in nearby locations such as, hotels and resorts. People who are on a tour of Konkan region or South India can find budget hotels in malvan or any location of their choice, owing to the features of such applications. The opening of this railway route has also provided a means of livelihood to many individuals. Small businesses located on this route have also gained tremendously. 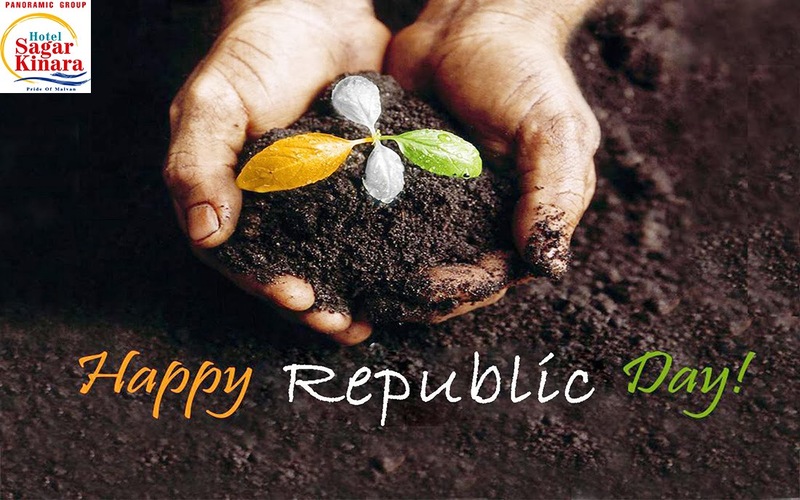 Republic Day is celebrated by people of India with great enthusiasm, and some amazing festivities can be witnessed in all the states, cities and villages across the country. Most popular among all the republic day celebrations in India is the grand parade; which is held in New Delhi, the country's capital. Regiments from the Indian Army, Navy and Air Force put up a great show, as they march in their uniforms with official decorations. As it is a national holiday, people across the country have an opportunity to celebrate this occasion in their own special way. Malvan, a town in Sindhudurg District, also witnesses huge celebrations of Republic Day, especially in the educational institutions. Students of many schools participate in parades that are held in the morning on this occasion. The streets come alive with similar activities, while there are flag-hoisting ceremonies organized at many places. These republic day celebrations attract plenty of onlookers, that may include tourists who are in this region for a vacation. Malvan has an important place in the history of Maharashtra, and one can understand it from the historical sites like Sindhudurg fort, which was built by Chhatrapati Shivaji Maharaj. The republic day celebrations in Malvan remind its local population of the sacrifices that their ancestors have made in order to obtain freedom for their country. 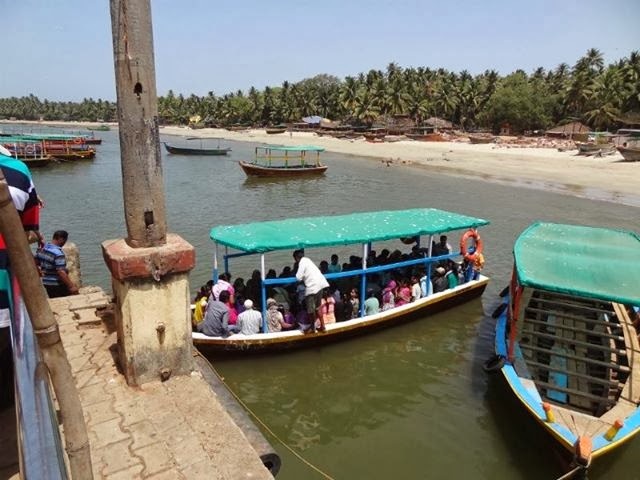 Tourists visiting Malvan during this fabulous day, can get a chance to celebrate Republic Day with the locals. The presence of many hotels and resorts in this region would enable them to book an accommodation at attractive rates. Booking their stay in a best hotel in Malvan may bring them an opportunity to celebrate 26 January Republic Day during their vacation, as all the popular hotels organize special events on this occasion. They may also get to savour some fantastic delicacies of Malvan on this day. 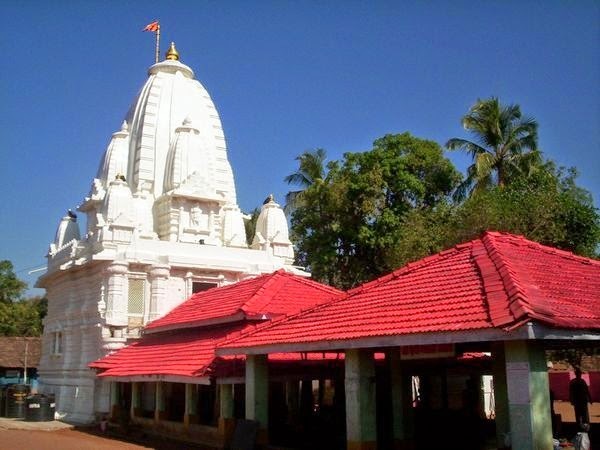 Bharadi Devi Temple is one of the popular attractions in Malvan, which is visited by devotees and tourists alike. 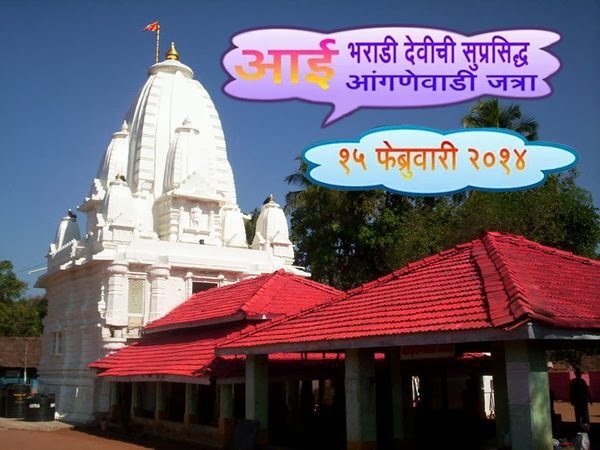 The Bharadi Devi Mandir Anganewadi residents visit, is located in a small village known as Masure. As the legend goes, Goddess Bharadi Devi took the form of a stone plaque, hundreds of years ago. Since then, the site of Bharadi Devi Anganewadi Malvan has become famous for its annual fair. The wish-fulfilling power of this Goddess is well-known, and this is the reason why people from all walks of life come from distant places to seek her blessings. The date of Anganewadi Fair or Anganewadi Jatra is declared after a ritual, which is attended by thousands of devotees. The Anganewadi Jatra 2014 date has been decided as 15th of February. It would be a wonderful opportunity for tourists visiting Malvan city to experience the grandeur of this fair. They can either choose public transport or hire a private vehicle for getting to Anganewadi. On the first day of Anganewadi fair, the plaque of Goddess Bharadi Devi is adorned by a mask and several ornaments. A female member from each family joins the effort of preparing food, in an event known as 'Taate Lawane'. On the next day of this fair, the rituals begin at 4:00 in the morning and continue till afternoon. The Anganewadi Fair 2014 promises to be great event for all the devotees and tourists. People coming from distant places to be a part of the fair, would find comfortable accommodations in the resorts and hotels in Malvan, located close to Anganewadi. Going to the Anganewadi Jatra is made simple with the arrangement of transportation from the location of these hotels or resorts. 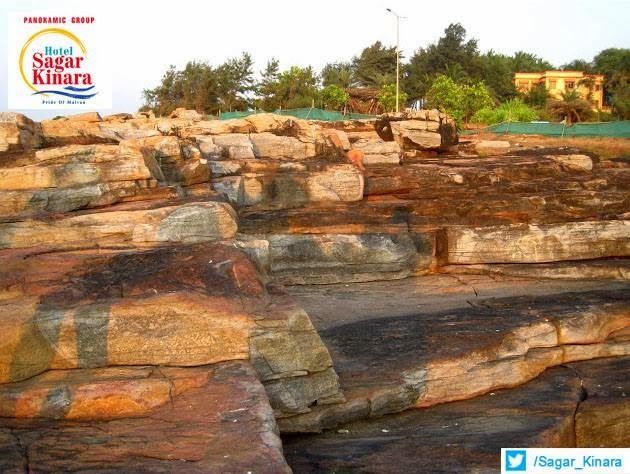 Tourists coming to Malvan can look forward to being a part of Bharadi Devi Jatra 2014 with such kind of assistance.